The computer's 13.3" display features LED back-light technology and a glossy finish. Its 1280 x 800 native resolution gives you ample screen space to work with. You'll be able to output to an external display at up to 2560 x 1600 via Thunderbolt. Any Mini DisplayPort-compatible display will plug in without the need of an adaptor. If you have a display with a DVI, VGA or HDMI input, you'll only need to purchase an adaptor cable (i.e., HDMI-to-Mini DisplayPort) for connection. You'll be able to communicate with friends and family thanks to built-in support for FaceTime chat. The computer's FaceTime HD camera supports 720p HD video chat via the included app. You can make video calls to other Mac users with FaceTime as well as to anyone with an iPad, iPhone, or an iPod touch model with a built-in camera. The system is powered by a dual-core Ivy Bridge 2.5 GHz Intel Core i5 processor with Intel Turbo Boost 2.0 up to 3.1 GHz. The computer is loaded with 8GB of DDR3 RAM, a 500GB 5400 rpm hard drive and a slot-loading SuperDrive. You'll be able to connect to the Internet with ease via 802.11a/b/g/n Wi-Fi or wired Ethernet. The MacBook Pro also features built-in Bluetooth 4.0, which allows you to connect wireless headphones, keyboard, mice and other compatible peripherals without a hassle. Graphics are handled by integrated Intel HD 4000 graphics, which gives you the best of both worlds in regards of battery life and performance. 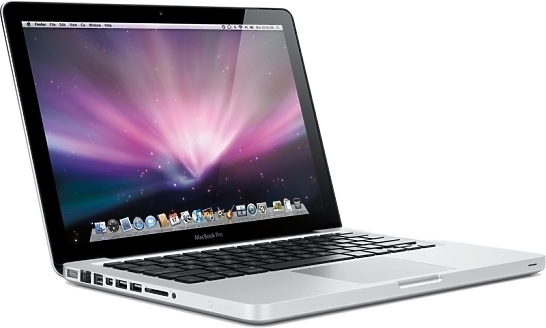 The MacBook Pro uses integrated Intel HD 4000 graphics for everyday use, such as web browsing and word processing. It is also capable of HD video playback. The Mac OS X features Time Machine backup. Time Machine automatically backs up system data to an external hard drive. The notebook also features intuitive Cover Flow navigation, the powerful Spotlight search tool and Quick Look document preview. You'll be able to use Boot Camp to run Windows on your Mac, if needed. Ports with PossibilityWith the Thunderbolt port, you can daisy-chain as many as six devices - including an Apple Thunderbolt Display and Mini DisplayPort peripherals - to create a full-fledged workstation. And with support for video and eight-channel audio, it's easy to connect HDMI-compatible devices - like your TV and home stereo - using an HDMI adaptor (sold separately). Current VGA, DVI, and DisplayPort adaptors are also supported. Hire the Apple 13-Inch Macbook Pro from Procam. Best service and rental rates for the Apple 13-Inch Macbook Pro and all cameras, lenses, sound, lighting and grip.